We Repair Appliances has a large team of expert engineers who are multi-brand trained with vast knowledge of all white goods and domestic appliances, from ovens to washing machines to fridge freezers. We offer a fast and reliable service with a state of the art computer software system offering live updates with each repair via email. ... Clear Timescales: We aim to complete all repairs within 10 working days and stay on track with all manufacturers’ expectations regardless of being in or out of warranty. Spare Parts: If you’re confident to fix your appliance yourself but require a spare part quickly, contact us with your model and serial number and we can provide a fast quotation. If you wish to proceed, parts can be delivered direct to your door within 48 hours. Three Month Warranty: All repairs come with a three month warranty as per the manufacturers’ guidelines. The warranty covers the same fault, rather than the appliance. Full, annual warranties are also available. We cover all major brands including AEG, Baumatic, Beko, Bosch, Brittania, Electrolux, Fisher & Paykel, Hoover, Hotpoint, Indesit, LG, Miele, Neff, Rangemaster, Samsung, Siemens, SMEG, Tricity-Bendix, Whirlpool and Zanussi. For more information give us a call on 01923 204 620. 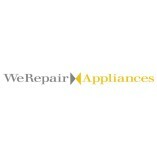 We Repair Appliances keeps agreed-upon appointments. We Repair Appliances works within the agreed-upon budget. The contractor was polite and helpful explaining the issues that he’d found. This resulted in our dishwasher being written off after 12 years of Service. He went as far to say it was now a dangerous appliance. Most company’s would of tried to repair to squeeze more money out of the contract. Thanks for your due consideration of our health and safety. Excellent company. The guy that eventually came to make the repair was excellent but nothing to do with We Repair that merely act as a broker. Their customer service was appalling. they agreed a date then emailed a confirmation with a date 2 weeks later. I then received emails from another company who I had had no contact with giving me another date. Very poor customer service. and friendly. Thank you RE Repair for a very efficient service. I had an absolutely shocking experience with this company and would never use them again. It took a month from 1st visit for them to order a simple part (one i later ordered direct from Zanussi and had delivery the next working day) and book in a follow up. During this time there was no communication from them other than repeat send outs of the same part order email. Their staff were completely disinterested in my awful experience and every time i rang i was greeted with another bored, dismissive call handler who offered me no help. After being messed around for A MONTH i finally gave up on the 130 odd pounds i'd paid and booked another engineer - who came out the next day and fixed the problem. Absolutely appalling 'service' from start to finish. I will be replicating this review on every public forum available to me. The engineer was very helpful without being patronising and fixed the issue efficiently, with recommendations for if the issue happened again but also assuring me to contact again if needed. Excellent service. The engineer was polite and professional. He did the job swiftly and have good advice. I am a satisfied customer. Thank you. The engineer did a perfectly fine job, however, even though I told them specifically what part I needed to be replaced and they confirmed that the engineer would bring said part (washing machine door boot seal), he did not have it when he arrived. It took another 10 days for the part to arrive and to organise another installation date. Calling through to their customer service advisors took absolutely ages as they always seem to be "experiencing higher call volumes than usual" (I imagine they are simply lacking in customer service advisors). The only benefit was that there was a flat rate for labour, call out, and parts, which makes them slightly cheaper (depending on part price) than other service providers. Nevertheless, in the future I would certainly be willing to pay slightly more so that I can be certain of at least adequate service. Avoid We Repair if you can. I was convinced that My Panasonic 10k washing machine could be fixed, it was 9 years old but an expensive machine and I had cleaned out all the pipes and checked the weights etc, but couldn't work out why it wouldn't spin properly. I had another engineer that wouldn't even look at it as the utility room is quite snug, and refused to come, but We repair stated they would come and cover call out fee and parts. Despite being disappointed that the machine was going to cost more in repair than a new one would cost, therefore they didn't manage to fix it, I was totally amazed when a few days later I received a message that they had refunded the complete £154 fee I paid, as they were not able to complete the repair. As I did have to buy a new machine, this was a total blessing, and I would totally recommend Werepair to anyone and will definitely be using them win future,,,,,,tho not for a while, hopefully. Thank you for a brilliant service! Really nice engineer, polite and an absolute credit to your company. Efficient, efficient and very tidy! An engineer visited and said I needed a new FSD for my cooker's oven. I day later you called to say that the part was unavailable and I would just pay for that visit. A two minute internet search found me the part. it arrived two days later, and was fitted by a local engineer. Moral, don't believe everything an 'expert' tells you!